April 11th, Brooklyn, N.Y., The Board of Directors of the distinguished Woman of Great Esteem (WGE) Organization has announced that the 18th annual staging of the prestigious Women of Great Esteem Emerald Awards happens at 7pm on Saturday, May 3rd at the New York Ritz Carlton, Battery Park, 2 West Street in New York City. The Woman of Great Esteem 2014 honorees represent women who develop and advance their communities without regard for race, ethnicity, religiosity, gender, age or national origin. The 2014 Honorees include the newly appointed Director of the Pan American Health Organization/World Health Organization, Dominican native, Dr. Clarissa Etienne who resides in Washington D.C. Dr. Etienne will be honoured for her outstanding work in the field of medicine as it relates to global research and policy around primary health care. US Virgin Island's Dr. Suzette Graham will be honoured in the field of medicine for her exemplary work as a Cardiologist and Professor at Downstate SUNY and Brookdale Hospital in Brooklyn. Sint Maarten's first Ombudsman, Dr. Rachnilda Lynch-Arduin is known as the "Guardian of the Constitution" in the Netherland Antilles. She will be honoured in the field of politics for her pioneering work as a scholar and lawyer, whose dedication to making the Constitution understandable and accessible to the general public has been highly regarded. She is also a well-known television host who was born in Curacao. Native New Yorker and attorney, Yolande Nicholdson, will be honoured in the field of law for her unprecedented work in preserving home ownership and promoting community stabilization through her work as a foreclosure advocate. Through her work at Chase Manhattan Bank, Attorney Nicholdson has implemented the "Turnaround Plan" for communities targeted by foreclosure. New York resident by way of Kingston, Jamaica, Sharon Gordon, will be honoured in the field of arts and entertainment for her work as a media specialist and as co-founder and Chair of the Coalition to Preserve Reggae Music, Inc. She's a seasoned journalist, publicist, broadcaster, event coordinator, promoter and event host. Sharon's work as a cultural activist for more than twenty years has made her a well respected figure on the New York Jamaican cultural scene. The Women of Great Esteem Emerald Award was founded in 1995 by Brooklyn based, Bishop Sylveta Hamilton - Gonzales, who had a vision to recognize the increasing contribution of women who have excelled beyond normal expectations in a multi-cultural society. Bishop Gonzales points out that, "The Emerald Award is a vehicle used for the empowerment of women, honouring them for their relentless efforts to nurture and serve their communities." 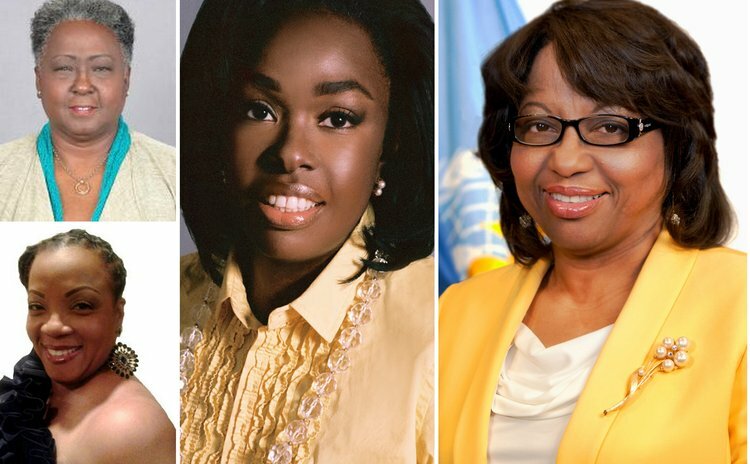 To date, the organization has honored over 150 women from twenty-seven countries from North America, Africa, Europe, Asia, Bermuda, the Caribbean and Central America. The annual event is a fundraiser for MACADEMY, School of Science and Technology in Brooklyn. For further information on the 2014 Woman of Great Esteem Emerald Awards at the New York Ritz Carlton Hotel on Saturday, May 3rd, please call 718.221.5566 or email qkmacademy@aol.com.